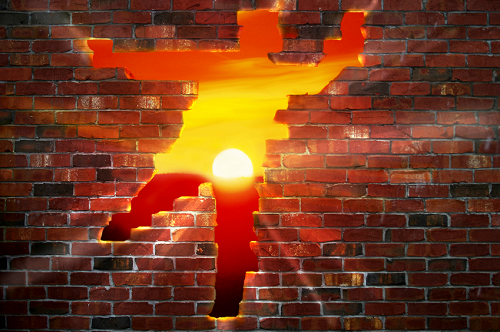 « Its been a hard days write …..
How to run through a brick wall …..
I’ve always found that if you sit at the fun table with bright, energetic, enthusiastic people, problems suddenly start to dissolve and possibilities start to emerge. get rid of anything in your life which isn’t beautiful, useful or joyful. Lukewarm attitudes, limp handshakes and bland people tend get results which are about as memorable as they are. At 211 degrees water doesn’t do very much, but at 212 degrees it boils and produces steam which can power trains weighing over 500 tonnes. So take off your psychological handbrake, turn up your dial and enjoy the ride. “I’m going to attend a lecture on the effects of alcohol consumption on the human body and its role in marital breakdown,” replied the old man. "My wife," came back the reply. This entry was posted by admin on March 15, 2015 at 6:41 am, and is filled under Sunil Bali, The Art of Awesome Living, The Book of Awesome Humour. Follow any responses to this post through RSS 2.0. Both comments and pings are currently closed.